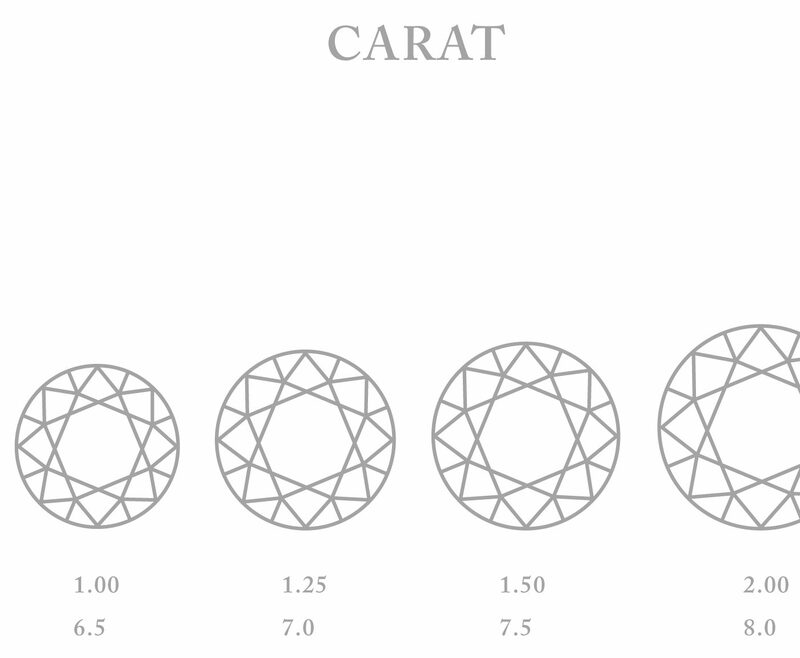 Carat weight measures a diamond’s size. Each carat weights 0,2 grams. ‘Carat’ comes from the Greek ‘keration’, the name for the seeds of the fruit of the carob tree. In ancient times, the pits were used to weigh diamonds and other precious stones. 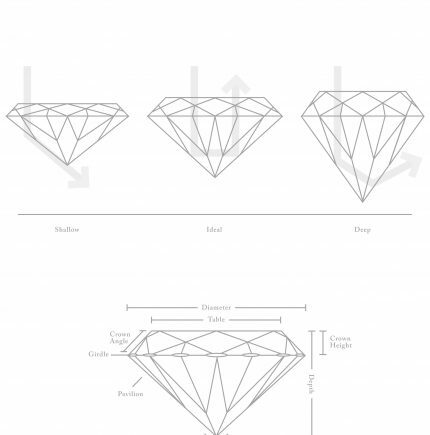 When choosing the right diamond it is not only carat weight that is important. Diamonds of 1 carat can look different in size because of the diameter, you can have a 0.8 ct diamond that looks bigger than a “standard” 1 ct diamond. Pay attention to the diameter of you diamond when you choose. 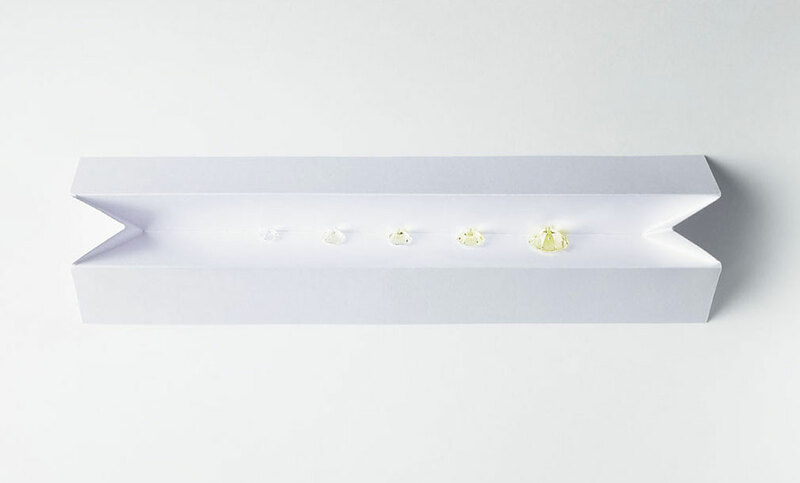 The cut is vital for the diamonds natural brilliance to shine through. Mirror-smooth facets made with mathematical precision by Antwerp diamond cutters is what brings out the perfection and beauty of the stone. A diamond's cut is essential to its beauty and keep this in mind when choosing the right diamond. The cut is divided into 3 grades: proportion, polish and symmetry. Proportions determine the brilliance and 'fire' of a diamond, symmetry describes the variation of different parameters that define the proportions and polish describes the finish of the facets. Each grade is evaluated according to four parameters: Excellent, Very Good, Good and Fair. If the diamond is not well cut, it will not interact with light as it should. A perfect cut equals more sparkle, brilliance and fire. The Round Brilliant cut diamond is the classic beauty. Initially created by Marcel Tolkowsky in 1919 aiming to maximize brilliance and fire through an innovative and revolutionary 57 facets round shape; the round brilliant cut represents 75% of diamonds on the market today. 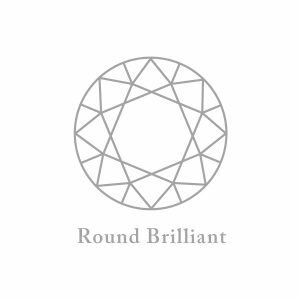 Achieving the perfect sparkle of the round brilliant cut is the result of many decades of research. Innumerable complex calculations, taking into consideration light refraction, dispersion and hardness have been explored to result in the brilliant cut. The Princess cut is a stylish modern combination of brilliant and step cut. 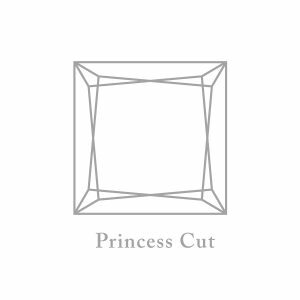 Inspired by the Barion cut, the princess cut made its first appearances in the 60s. Quickly it became very popular for its fire comparable to the fire of the round brilliant and for its very modern lines. Because a princess cut retains approximately 80% of the rough diamond (round brilliant: only app. 50%), you can get bigger princess diamonds at smaller prices. When creating a ring for your Princess cut diamond, protect the four pointed corners. The glamorous Emerald Cut, is a step cut with elongated and sophisticated lines. 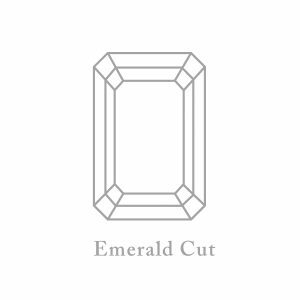 Between traditional and modern, the emerald cut is a safe choice at an interesting price. Originally designed for emeralds, the emerald cut’s long and elegant lines allow a deeper view into the stone. Therefore emerald cuts require high clarity grades. Also called Square Emerald cut, the Asscher cut was created in 1902 by the Asscher Brothers in Holland. The Asscher cut, along with its open lines allowing a plunging view into the diamond, is considered as a vintage cut for its great popularity in the 20s and has come back into fashion in recent years. The Asscher cut was designed to give an in-depth view of the diamond therefore the cut requires a great quality. Classic and romantic, the Cushion cut lies between the Old Mine cut and the Oval cut. The Cushion cut and its inspiring antique shape has re-captured the interest of many in the last few years. The cushion cut’s large open facets which are partly responsible for the great beauty of the cut, also allow the visibility of inclusions in the diamond. 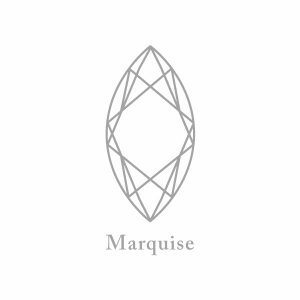 The Marquise cut: has a dramatic history. According to the legend, the Marquise cut was created under Louis XIV’s order for his mistress the Marquise de Pompadour. It is said that the Sun King wanted the cut to resemble the shape of his lover’s smile. As a Modified Brilliant Cut the Marquise cut’s grandiose fire and brilliance are due to the precise proportions, the perfect symmetry and a careful finish and polish. This innovative and creative interpretation of a brilliant has fire and modern lines. Like all Modified Brilliants, its grand fire and brilliance are due to the precision and perfection of the cut. The origin of the Pendeloque dates back to 1475, the first diamond-cutting and polishing wheel in history: the Scaif. With it came the concept of absolute symmetry in the placement of facets. With the numerous later advancements in faceting techniques, the Pendeloque has become the brilliant and fiery cut we know today: a unique shape loved for its versatility. Like the other Modified Brilliants, the fire and brilliance of the Pendeloque are the result of accurate cutting. An imprecise cut can create a bow-tie effect (a strong shadow in the form of a bow-tie in the table) or uneven/ high shoulders. Introduced in 1977 by Henry Grossbard, the Radiant cut is a fiery combination of the Emerald step cut and the Round brilliant cut. With its 70 facets designed to maximize Brilliance, and its elegantly cropped corners, the Radiant Cut is a real Diva. 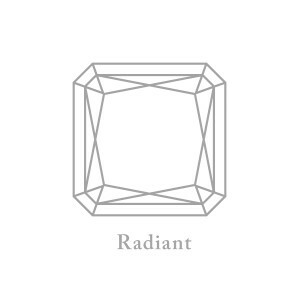 Radiant diamonds can be squarer or more rectangular according to your taste, there is no rule. However a harmonious cut is necessary. 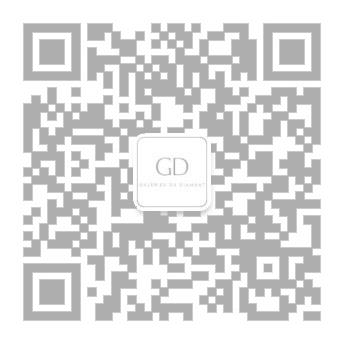 As the Radiant cut is not a common cut, the price per carat can be very advantageous. Difficult to make anything more romantic than a Heart shaped diamond. Although not a traditional cut the heart shape is the ultimate symbol of love. When choosing the right diamond, make sure to always verify the proportions of a heart shaped diamond. 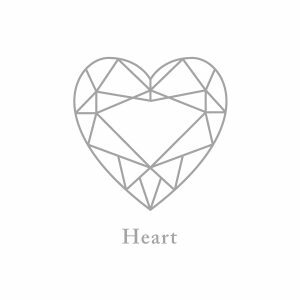 If a heart shape diamond is too “fat” or more elongated, it will strongly affect its general appearance. The finest white diamonds are made of pure carbon, but during the formation of rough crystal it often happens that other elements penetrate the diamond’s atomic structure and affect its colour. The perfect diamond is colorless or nearly colorless. Diamonds are graded on the scale of D at the top to Z from colourless to slightly yellow. Natural diamonds vary tremendously in colours. More rarely fancy colored diamonds appear and their color variation is fantastic: from colorless to yellow, brown, orange, pink, purple, red, green, blue, grey and even black. We call them “Fancy colored diamonds.” Even exquisitely rare chameleon diamonds exist, capable of changing colour under influence of temperature and light. Some diamonds react to UV-light (black light) with a grading scale for fluorescence, which ranges from 'nil', 'slight' or 'medium' to 'strong'. The clarity of D to H diamonds can by affected by strong fluorescence. Furthermore, when larger diamonds have a high fluorescence, a 'petrol color' can appear in sunlight's UV-enriched radiations. However, with I to M diamonds, a clear blue fluorescence can offset a yellowish tint and give the impression of colourlessness during daylight. 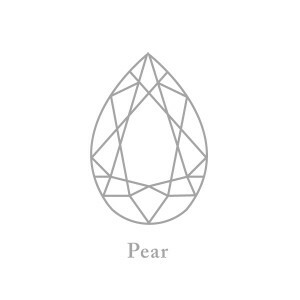 With clarity, we describe a diamond's purity. As they are a product of nature, the formation process of a diamond happens in several phases that are not always constant and therefore often create inhomogeneities inside diamonds, called inclusions. The clarity is observed according to international standards with a 10x magnifying loop. 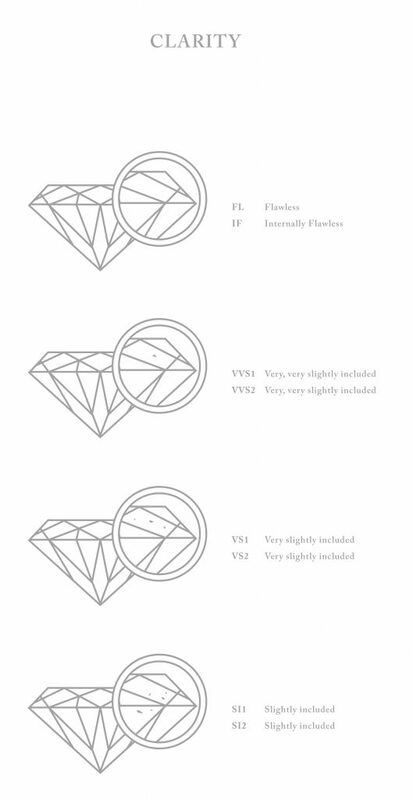 The clarity scale reflects the size, number and location of the inclusions Diamonds that have no inclusions visible to the naked eye are of excellent quality. The very best - and rarest - clarity is called 'loupe clean'. 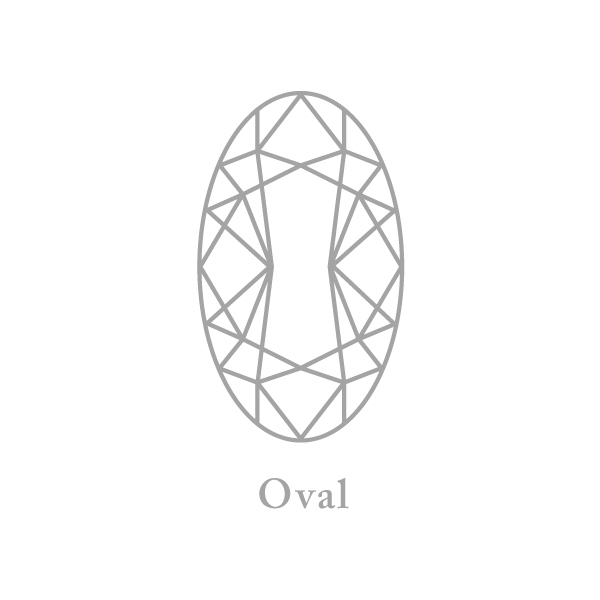 This means that upon examining the diamond with a loupe, no inclusions can be found. The chart of classifications varies from Loop Clean to P3.